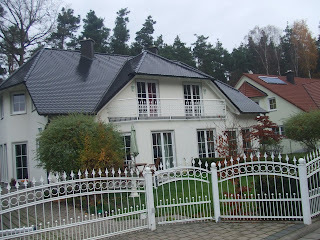 This house was in a very nice part of Erlangen...but you had to access the 3rd bedroom by walking through the second bedroom. 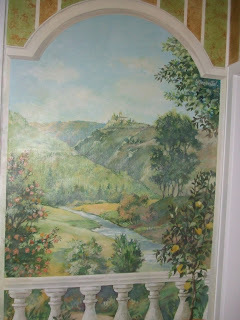 Also the inside house was painted in a beautiful, detailed way....the only problem was that it needed repainting! 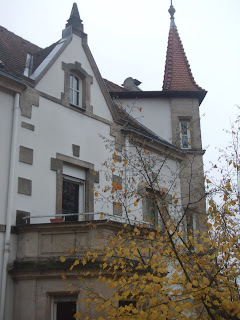 It would be a shame to paint it white, but too difficult to repaint what they had done before. This next duplex was very nice, but twice as far away as all the others.